When it comes to food, everyone’s got their own pet peeves. Maybe for you, it’s the way your spouse chews their food, or restaurants that serve Chinese food and sushi. When I go out and give someone money to feed me, I don’t want to feel like they are going out of their way to do me some great service. I am not privileged to be dining in their restaurant; they are privileged to have customers. In most cases, the food I make at home is better than what they are serving me. Good restaurants do not do this. Like people who name drop, it’s a sign of insecurity. I remember going once with a friend to Sushi Roku, one of L.A.’s hall of fame pretentious restaurants. Although we had reservations, the attractive young starlet hostess sighed and rolled her eyes when we arrived at her station. The food was a mortgage payment on an average house, and was decidedly average. Not to mention that it was, like most contemporary Japanese food in America, a blatant rip-off of Nobu Matsuhisa — whom I’ve cooked with and who is a gracious and utterly unpretentious man. Like I said, I went to Roku only once. I’m always happy to cook for people at their homes. We have friends who invite us over for dinner, and then when we arrive, ask, “So… what are having?” (You know who you are.) But please, if I’m going to be cooking in your kitchen, make sure you have the basics for me: a good pan or two, REAL butter (not “I Can’t Believe It’s Not Butter”), a large wooden spoon, some flaky sea salt, a pepper mill filled with good black pepper, good extra virgin olive oil. If you’ve got these things, I can make dinner with whatever else is there. We’ve mostly weeded out or retrained the friends who would show up to one of our dinner parties with a bottle of Two Buck Chuck. But we still occasionally encounter the lazy wine choice. It’s fine if you want to spend under $10 on a bottle of wine — there are many good options in this price range. But don’t just grab any ol’ merlot. Do a little research on the wine blogs, or talk to the wine guy at the store. Here’s a few good options under $10: Columbia Crest Two Vines Shiraz, Ravenswood Old Vine Zinfandel, Freixenet Cava. This is only peripherally related to food, since I often seem to be serving dinner to kids before the adults. Most of our children’s friends are polite and well behaved at the table. But we do on occasion encounter the kid who has not yet learned “please” and “thank you,” nor to look people in the eye when they address them. Teach your children to be gracious, friends — it will not only ensure them many dinner party invites in the future, but almost more than anything else you can instill in them will serve them well in their future relationships and careers. Unless, that is, you want your daughter to be that snarky hostess at Sushi Roku. I can see people reading this and saying, “Whoa! Okay, this guy is getting way esoteric on me…” But if you’ve ever eaten cheese in France and compared it to the French cheese available here, you’ll know what I mean. The difference? Ours is pasteurized, theirs is not. I understand our government is just trying to protect us from rogue French bacteria. But dangit, I wish they’d find a different way to do it! What’s with the butter substitutes?? What do people think is going to happen if you eat a little butter? It’s natural, it comes from a cow. Where do butter substitutes come from? A laboratory, first — and then a factory. Spend a little money, get a couple good butters. (I like butter from Parma, Italy, and also Isigny butter from France. I also like the creamy raw butter I get at the farmer’s market.) Use them judiciously and enjoy — they won’t make you fat and they won’t kill you. I hate to be ornery… but does every bar I go to have to have Kobe beef sliders? What’s the appeal of little burgers? They’re cute and all, but really. Likewise Korean kalbi tacos. 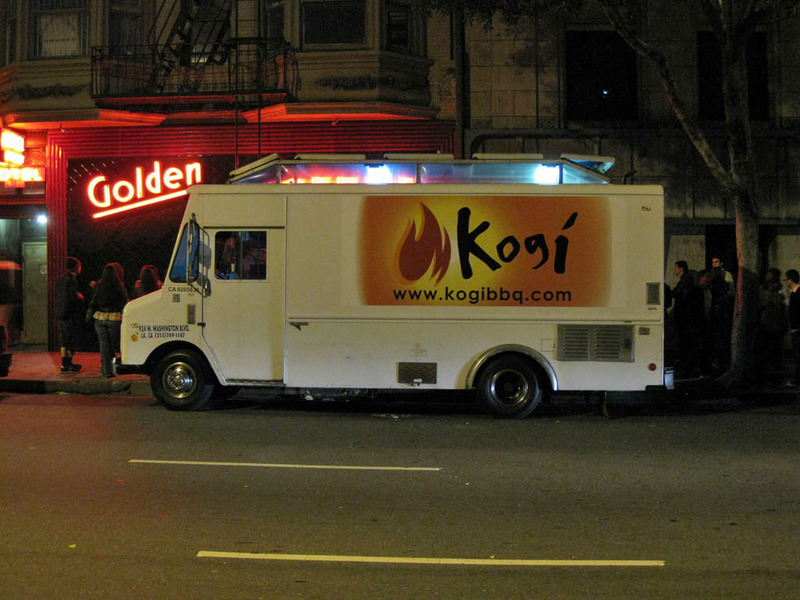 Speaking of kalbi tacos, here’s my #1 current most annoying food trend: Food trucks. They’re EVERYWHERE!! (The original Mexican ones get a free pass.) Other current annoying food trends: cupcakes (especially red velvet), molecular cooking, recessionary dining/American comfort food, finger limes, family tables (I don’t know you, I may not want to eat with you), sweet potato fries, chipotle anything, foodies (some of you may argue that I myself am a foodie. But if you do, I will bite you). There’s nothing worse than trying to do prep work with a dull knife. It’s not that hard to keep knives sharp. And it’s even kind of fun. Get yourself a sharpening stone and a honing steel and get into the zen of sharpening. I take my knives out on the deck, crack open a beer and make an afternoon of it. There are many things to fear in regards to salt. But salt is the least of them. I saw a doctor on TV talking about the salt problem. He said the biggest contributors to the oversalting of America were fast food and processed food. “If people prepared their own food, they could basically salt it as much as they wanted and they’d be fine. Two thirds of the salt in most people’s diets comes from processed foods and fast food.” Bring on the pretzels and salt-rimmed margaritas! How many good cooks do you know? Maybe one in eight friends? So here’s an idea – let’s invite all our bad cook friends over and have them bring something that they’ve made! Even worse is the poorly curated potluck, where you wind up with three pasta salads, two seven-layer bean dips, four desserts from Costco and no entrees. I could go on. What are your greatest food pet peeves? We’d love to hear about them. Birthday Bro…does anyone ever get mad at you re: potential inferences 😉 ? We have NO food trucks! What the heck in South OC…we aren’t cool enough and that’s a good thing. Mom is a salt MACHINE!!!!! I have an issue with people who don’t do as the Romans…if you’re in my house, do what the rest of us are doing. If we’re sitting around the coffee table and fireplace w/ happy fire, eating, then break your mold, Mom won’t slap your hand…it’s fun and casual…and bohemian. But I try to never say anything I wouldn’t be comfortable teasing someone about in person. Well, I am guilty of the potluck party. And some pretty oddball things have been served at my table during these parties. But also some good things. I think people who cook well enjoy bringing something nice. And for those who don’t – let them bring booze! Lazy wine is fine as long as it’s not the first bottle that gets opened! I am tired of food trucks simply because after every successful weekend food truck event, I get a call at work from someone who wants to promote a food truck event – having no earthly idea what that entails. And you’re right, let’s give the original Mexican trucks a pass, but the pancake and muffin truck, the overpriced mac and cheese truck, the truck with cupcakes or doughnuts? Feh. Yeah, I’ve been to a few good potlucks. I think it is more a matter of curating. them. How about indiscriminate curry? When the hippie revolution hit all these rebellious brats now had to become earth mothers and ‘know’ how to cook. The food had to be preferably vegetarian, hearty and Indian so they just put curry in everything. As for potlucks I have the joy of living where they are safe because almost everyone can cook. I agree with Lisa on the coffee table eating. Almost all our friends can sit on the floor in front of the fire and we’re all pushing 100. Oh, indiscriminate curry — that’s a good one, mom! Those people never invite us to dinner, fortunately. I am 100% with you on ‘lazy wine choices’ and sliders. I get a bad rap that I’m a wine snob, especially from my mother-in-law. Not true. The wine that drink with dinner every night is under $10/bottle. However, it is well researched and well sourced. BTW, since you’ve worked with Nobu, could you do a post on his miso-marinated sea bass? If I’m correct, he’s the once who introduced it to the West. Right? You are 100% correct on the miso-marinated fish — that’s one of the dishes I made with him. Although most typically it’s done with black cod. It’s a traditional dish, you can buy the cod pre-marinated in miso at the Japanese markets here. Sure, I’ll get a preparation for that in here one of these days. It’s one of the best and easiest recipes on earth. Biggest pet peeve(s) is someone chewing with their mouth open and guests or family that start eating before everyone is seated. Also Ice Crunchers. It wasn’t until we lived in Austin (and I LOVED living there, lots of great food) that I saw the “All You Can Eat Chinese and Sushi Buffet”! Scared the s*** out of me! Needless to say, we never went there. I have visions of those places buying up the 3-day-old fish that didn’t sell from the regular sushi bar. Since I just lost a lot of weight and have kept it off for over a year all my pet peeves currently have to do with people kidding themselves about what they are eating and what it is costing them in fat and calories. Most salads that most people eat are NOT healthy and are NOT diet food. Butter is fine but you better be moderate with it……very moderate. Glugging olive oil in a pan is a caloric catastrophe. Sandwiches sound innocent enough but not with cheese, mayonnaise (there’s that word!! ), cured meats, bacon, etc. Count up the calories and see for yourself. P.S. I LOVE sliders!! You can eat just one and feel like you are getting a burger with far fewer fat and calories than those gross 12 ouncers!! I don’t see you enough. That’s my gripe and it’s all my F’n fault. Grrrr! I got a Kalbi taco off a truck in J-town the other day. What can I say? My blood sugar was dropping so I was making bad decisions. It was, in fact, bad. Not only was it smaller than normal and overpriced it was slathered in non-culturally expected ANGRY. I guess it was upsetting to get a handful of cash for a quarters worth of food. Food service is a tough job. We understand that. Don’t serve the public if you can’t a least pretend to enjoy your work for the few seconds you have to talk to a customer. We all have bad days but I’m paying for it so lie to me… just a little. Please? Aha! Butter substitutes and fear of salt are my two biggest pet peeves! My MIL is always asking why I must use real butter and why I must use salt in my food. I feel like exploding and being like, “THAT’S WHY MY FOOD TASTES DELICIOUS AND YOUR FOOD TASTES LIKE BLAND, CHEMICAL CRAP” but I refrain because that would render me psycho. However, she did recently attend a class all about “healthy” eating and they were singing the praises of butter vs margarine (amen) so now she’s off my case on the butter issue. Now, to conquer the salt….